Welcome to the Stewart Indian School web site. The Stewart Indian School served as the only off-reservation Indian boarding school in Nevada from 1890 through 1980, and its stone buildings are an icon of education and life for many American Indians in the West. In 1985 the school was listed in the National Register of Historic Places as a Historic District and is currently managed by the State of Nevada. 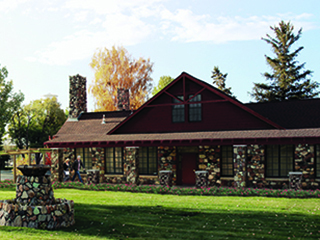 We are excited to announce that the former Stewart Administration Building will soon be renovated into our new Stewart Indian School Cultural Center and Museum, thanks to funding by Governor Brian Sandoval and the Nevada State Legislature. The Nevada Indian Commission was allocated $4.5 million in the 2017 Legislative Session to renovate the Administration Building and the old Post Office building into a Cultural Center and Museum and Welcome Center. An additional $1.2 million was allocated for a new roof on the old Stewart Gym. 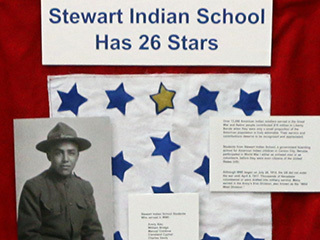 Stewart Indian School Cultural Center and Museum recognizes American Indian Soldiers who served and contributed in the Great War. 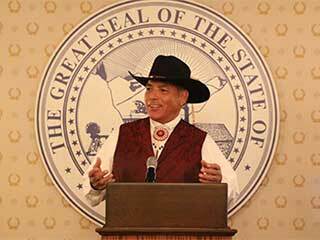 The Nevada Indian Commission is celebrating National American Indian Heritage Month by hosting the 2018 American Indian Achievement Awards Banquet and Silent Auction on Saturday, November 17, 2018. 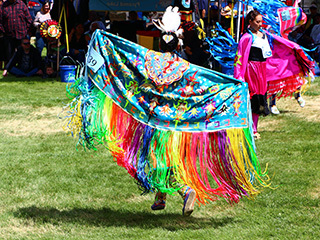 The 2019 Stewart Father’s Day Powwow will be held on June 14-16 in Carson City, Nevada. As always, we expect a large draw of alumni and visitors, and this event is open to the public. The new Cultural Center & Museum will feature an exhibition about the unique history of the Stewart Indian School, and a research room where researchers and alumni can find archival information about the school’s 90 year history. Help Support Stewart Indian School! The Stewart Indian School changed the course of generations of American Indians and has connected the people of this state and this nation forever, leaving a cultural legacy for the future. Please consider making a donation today to preserve the Stewart Indian School and ensure the legacy lives on.